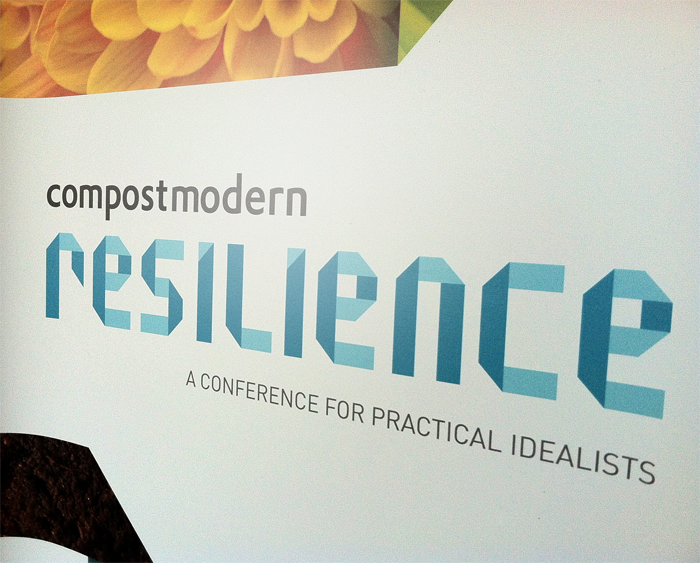 I made it to Compost Modern 2013! I had heard of Compost Modern about a couple of years ago, and was finally able to attend this year! I am so thrilled that I did, because I was able to meet a handful of great people, and to listen to some veryinspirational speeches. I didn't know what to expect. Were they going to showcase some eco-friendly/compostable products? (For which I have a great affinity!) Or possibly connect the dots between design and sustainability? To my surprise, it was a day of mixed professionals, most of whom were all answering the question, how they as designer, or we, as the human race, can create a more resilient world. We have the means, but do we have the [ultimate] compassion? We are approaching a generation where we once strived for independence, while in the meantime, we might want to contemplate approaching a wonderful interdependence. Ezio Manzini is a promoter of "DESIS: an international network promoting, world wide, design schools as agents of social change towards sustainability. "| source | He first touched on the difference between being fragile versus being resistant. And then, referenced the earthquake in Japan to demonstrate this. He mentioned Japan as a country that is thriving and efficient. However, when the earthquake in 2011 hit, and it's supply of nuclear power was under siege, the rest of the county crumbled. Ezio called this characteristic "centralized." I re-created his illustration of the types of "resilience" he exhibited. I see the "bigger dots" as hubs of strength and versatility. The more we have of those, the better off our society will be; because we wouldn't have to depend on justONE "power" source.Plain and simple, right? Well, we all wish it would be. Our society is comprised of infinite personalities and ideologies. And, Madeliene Lansky put it best when she said that "composting is a great metaphor for breaking down muck...and other four letter words." Which, I believe, in a resilient society is utterly necessary. The muck in modern society is what makes us fragile. She experienced this hands on at Occupy SF. Where she noticed there were a plethora of people all meeting for, what they thought, was the same thing. When in actuality, she saw two different ends of the spectrum. This created tension and anger between the extremes. This prompted her to create the group aptly named "composting anger - an oasis of calm. " She noticed within hours, there was a calmer outlook when everyone focused on the sole reason for why they were there. They had a common denominator. We, as humas, have a common denominator : to live life as happily and as fulfilling as possible. But what a lonely life it would be if we were truly independent of one another. Don't you think? Tiffany Shlain, creator of the Webby Awards and documentary short "Life, Liberty and the Pursuit of Happiness," said that we need a Declaration of Interdependence to create our resilience. She engages in "Tech Shabot," with her family, every Friday to Saturday. They close off, and turn away from their screens (smart phones, computer, etc) for a full 24 hours, to connect face to face with each other. THIS is something I suggested my husband and I try. He was not completely fond of the idea, but I will get him to do it at least once! With each additional speaker, rung after rung was added to my inspirational ladder. By the end of the day, I was on cloud 9, and my mind was racing. 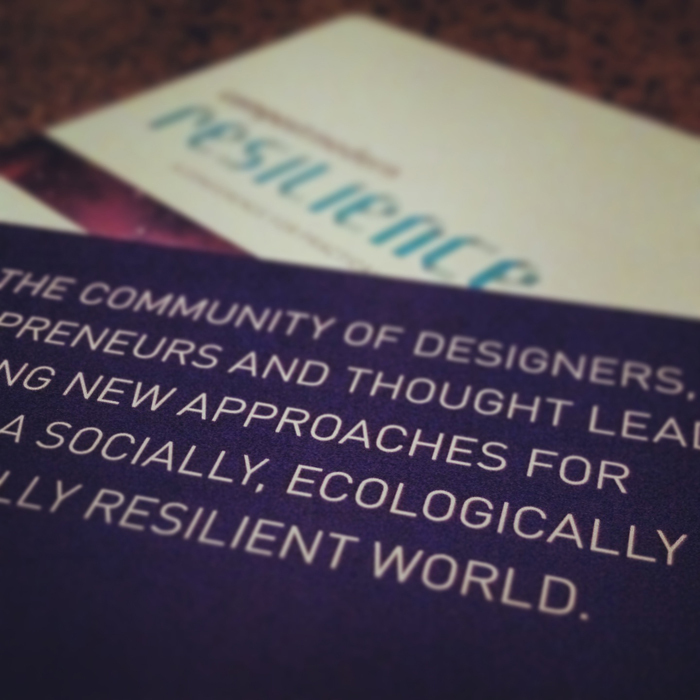 How could I contribute to building a more resilient world? Until the day comes where my ideas come into fruition, this is where I will start: I will share the knowledge of those I encounter, and of what I feel adds resiliency to anyone's life. So please, read on! 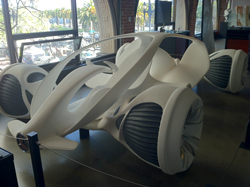 "Mercedes-Benz used biomimicry - drawing inspiration from nature - to address engineering and inefficiency challenges. The car's design echoes the natural form, protective shell, and structural cavities of an animal skull." 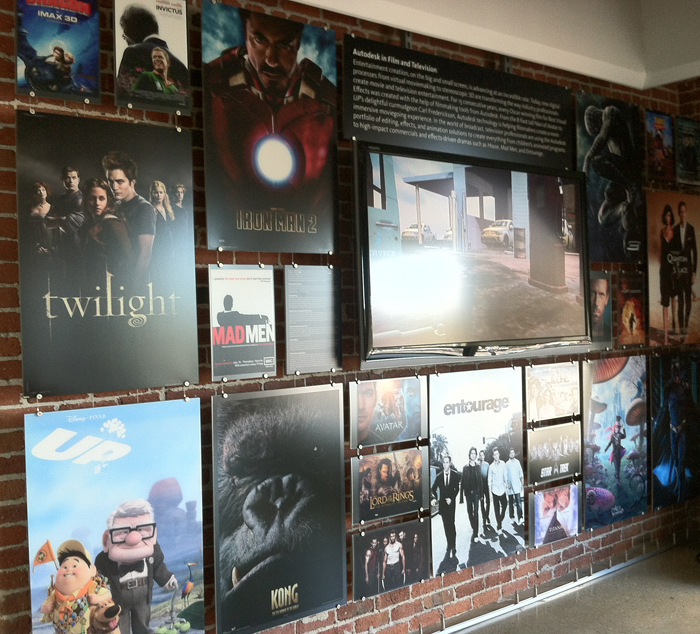 The fun part was to see how their software has become part of the "norm" in the entertainment industry. What great things can result from fabulous imagination and the right tools. What would you do? 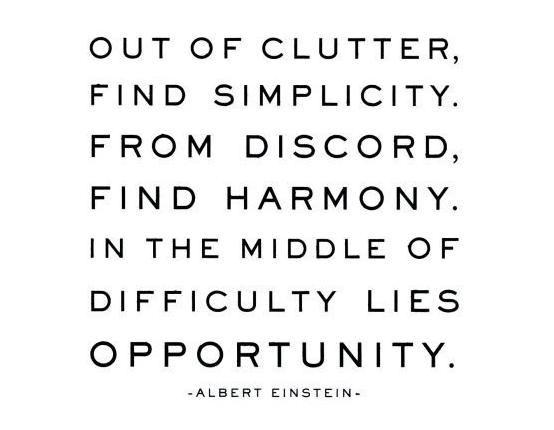 I'll leave you with a great quote from Albert Einstein that I thought fit perfectly with this entry.